What part in the disappearance of MH370 may have been played by A. Israel B. the USA? At Rense, journalist Yoichi Shimatsu explains why he thinks that Israel kidnapped flight MH370. 1. Israel has likely kidnapped the 20 Freescale Semiconductor experts on board MH370, in order to steal America's most advanced defense technology. 2. The Israelis likely confined and murdered Philip Wood, the American aboard MH370, who is most likely an agent for the Defense Intelligence Agency (DIA). 3. Israel wanted to steal the Freescale Kinetis KL02 and KL03 techology, rather than waiting to pay for licensing rights, because the micro-controller is urgently needed for Israel's upcoming military assault on Iran. The new technology allows tiny flying robotic weapons, launched from Dolphin submarines, to attack underground military facilities. 4. Wood was transferred to Kuala Lumpur and Beijing following an IBM contract signing with Freescale Semicondutor. Austin-headquartered Freescale is heavily dependent on Asian programmers. Freescales latest micro-controllers were being produced on the outskirts of Kuala Lumpur. 5. No air force unit has as much air-hijacking expertise as the Special Surface-Air Designation Team Unit 5101, Israel's most secret special forces group, which is known by the Hebrew term for "kingfisher" or Shaldag. 6. In cooperation with the Mossad station in Singapore and Beijing, the Israeli Air and Space Wing's special operations group devised the operational plan to seize the Freescale programmers and their hard drives aboard MH370. 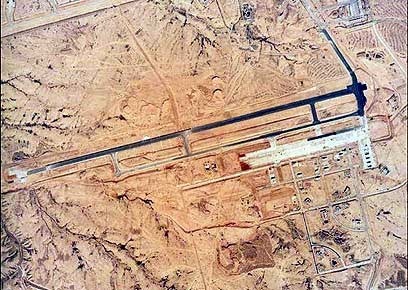 MH370 flew likely flew to Nevatim Air Base south of Beersheba and close to the Dimona Nuclear Weapons Reactor. 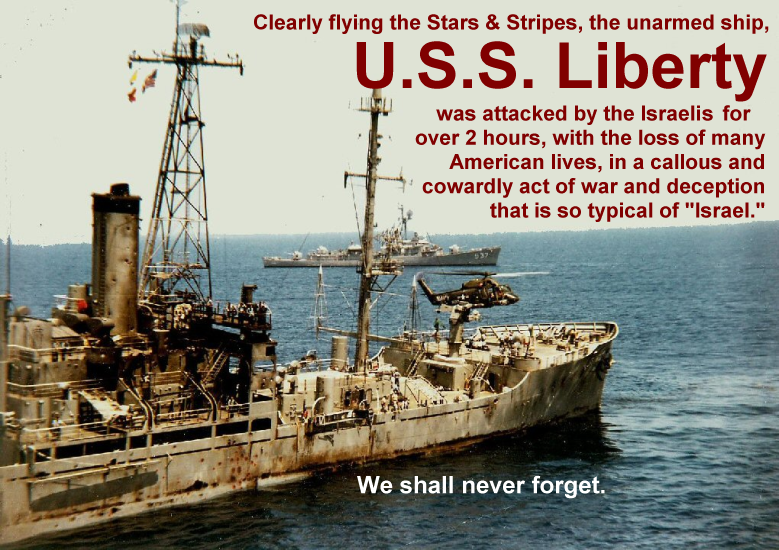 However, if the attack on MH370 is like the attack on the USS Liberty, then both the USA and Israel may be to blame for the disappearance of the Malaysian plane. 9 11 was not just the work of the Israelis. It was an operation that involved many governments. Information about Operation Cyanide has been uncovered by former BBC investigative journalist Peter Hounam. Reportedly, the American plan was to sink the Liberty and blame Russia and Egypt. "The plan... was to sink the defenseless, unarmed American ship sailing in international waters off the coast of Egypt. The Soviets and their Arab allies (in particular Egypt) would then be blamed for the event." I think you are correct about this Aangirfan. Many Americans cannot face the truth. The key thing to realise is that the USA is not a monolithic power at all. There are several factions always jockeying for power. The American Israeli lobby is very powerful - and allied with the Neocons many of whom have Jewish background or even Israeli dual citizenship. However other factions within the Pentagon from what one reads and sees on the internet are more patriotic for USA first and foremost. The thing about Shimatsu's riveting spy novel like account is the details. It makes one think high level US military insiders are getting fed up with the Neocon-Israeli dominance in the USA power structure. Some parts of the Pentagon must've been supportive of Obama and Putin's deal to bury the hatchet over Syria and Iran last year. We know the Neocon-Israeli lobby was furious and Ukraine would seem to be their revenge especially against Putin. For Israel it has always been an existential thing. From 2 millennia of persecution topped off by the Spanish Inquisition, Russian Pogroms and then the Nazi holocaust - why would you trust anyone ever again?!! Putin got in the way of total US-Israeli dominance of all the Middle-East-North Africa and thus safety by dint of repressive control/neutralisation of countries from Morocco to Iran and Afghanistan. 9/11 was necessary for oil/energy supplies to USA and maintaining the petrodollar reserve currency - by beating Russia and China out of the Middle East and opening the path to Central Asia gas and strategic military bases as the USA has done e.g. in Uzbekistan. It was also necessary for Israel to eliminate an implacable foe in Saddam Hussein - who they could never forgive for his Scud missile strikes into Tel Aviv. As Maj Gen Bradley Clark has indicated, before 9/11 he was made aware of a top secret document that indicated the USA would take out 7 countries finishing with Syria and lastly Iran. Lebannon, Afghanistan, Iraq, Sudan, Libya have been dealt with - the Saudis and other gulf royal families all depend on the USA for their personal security - only Syria and Iran remain. Whatever is going on in Egypt, the US has a long history of cooperation from the military there. But Putin stymied that (realising Russia is next domino according to Brzezinzki's - excuse spelling of his name - Grand Chessboard plan) and Putin has just done the "Holy Grail" gas deal with China to put a dagger in the heart of the US petrodollar and the defacto international tax of a reserve currency that causes other govts to pay for the US war machine and lifestyle. Hence Putin is now portrayed as the devil incarnate just after hoping to be seen as the Renaissance man for the recovery of basket case Russia into putting on a brilliant Sochi winter Olympics. And it is more than just raining on his parade to bring on civil war in Ukraine. It is to get NATO missiles 400 miles from Moscow, and was to kick the Russians out of their warm water naval port in Crimea, though "check" on that part of the chessboard by Putin. The race is on - can China-Russia-Iran torpedo the US petrodollar and war economy before the US causes an implosion in Russia or drag them into a Ukrainian nightmare and surrounds and subdues China whilst the Israelis take out Iran in the meantime? All nations could justify these positions in terms of national interest. But who is looking out for he interest of humanity, the victims of these false flag terror events and proxy wars and the planet? That's the world we live in folks.